BELLEVUE, Wa. 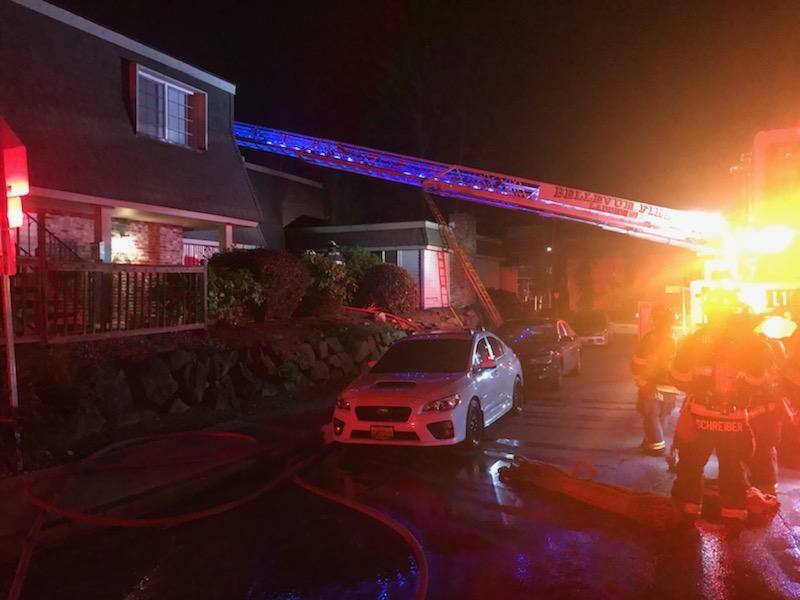 | Firefighters were dispatched to a working fire in a multi-family apartment building in the 14300 block of NE 7th Place on Sunday, March 23, 2019 around 0250 hours PDT. First arriving units reported fire on the south side. Less than 10 minutes later, firefighters would get a good knockdown from the exterior enabling crews to access the interior of the building. It was determined that the fire only impacted the original unit and none to the other nearby units. Ladder 103 aerial as Roof Operations, checks for extension to the attic. | Credit: Bellevue FD. Crews checked for extension and found no exposures to the attic space. Primary and secondary searches proved to find nothing. There were no reports of injuries or fatalities to residents or to firefighters. Bellevue, Washington | Firefighters were dispatched to 1655 on Monday to a fully engulfed garage fire in the 16100 block of SE 45th Street [Lakemont]. Responding Firefighters reportedly seeing a thermal column rising into the sky from a distance out and heavy fire conditions upon arriving on scene with Engine 2 as first due in. Firefighters attacked the garage fire from the exterior sides of the home, while additional fire resources were en route from other parts of the Eastside. 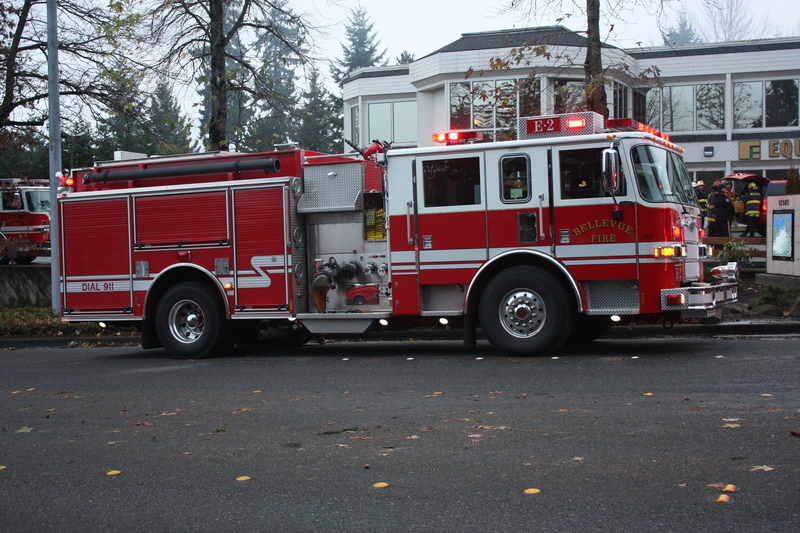 Bellevue’s Engines 1, 2, 4, 6, 8; Ladders 1 & 3; Medic 2; Aid 2; Air Unit 1; MSO 5; and Battalion 1 were assisted through Mutual Aid resources from Mercer Island’s Engine 91 and Battalion 91 along with Eastside Fire and Rescue’s Engine 71. Firefighters aggressively used fire suppression tactics to stop the fire from spreading to the rest of the house or to nearby exposure structures saving the home’s valuables and the residents of the home. The family dog, “Kate” had escaped on her home but was found to be missing after the fire had been extinguished. Though an intense fire, the best news of all was reuniting “Kate” with her beloved family. This is truly a remarkable story. Cause is unknown at this time. Damage to the garage is estimated to be $200,000 in damages. Bellevue, Washington | On Wednesday, November 26, fire a commercial building home to two businesses located in the 13000 block of SE 27th Place in the South side of the City. NORCOMM received the 9-1-1 call at 01:02. Firefighters arriving on scene found the two-story commercial fully engulfed with flames in the center of the building and showing on all sides. A second-alarm for mutual aid was requested. Fire crews from Mercer Island and Eastside Fire and Rescue provided Mutual Aid to Bellevue Firefighters. Bellevue Police provided traffic control and scene security. 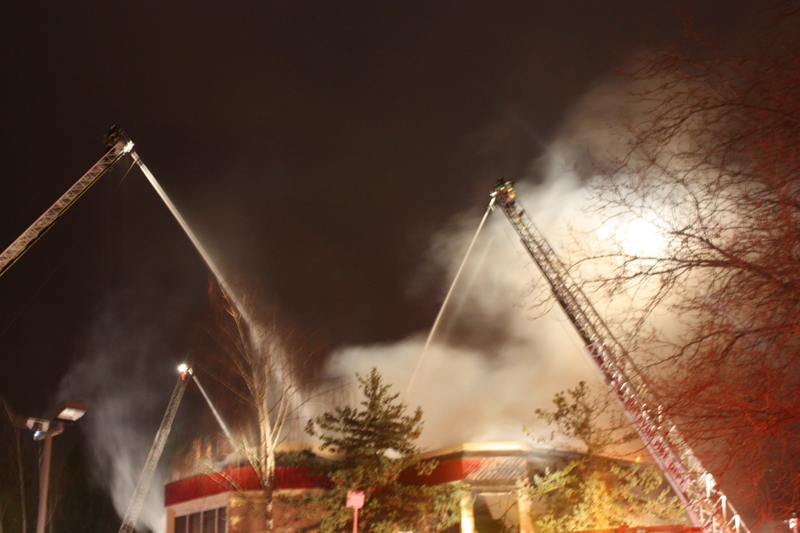 Both A&M Auto and Superior Towing suffered significant fire damage. No dollar of damages is known at this time. Cause of the fire is currently under investigation. No injuries were reported. Fire Department staff have completed the process of deploying 29 new state-of-the-art automatic defibrillators to the city’s trucks and medic units. The new defibrillators already have been used six times for victims of cardiac arrest in recent weeks. The new equipment is expected to boost Bellevue’s cardiac arrest save rate, which at 57 percent is well above the national average, estimated in the 10 percent range. Bellevue’s automatic defibrillators were several years old and nearing the end of their useful life. The new Phillips Heart Start FR-3s are smaller, lighter and have improved software that can be customized by fire department staff as protocols change. The total replacement cost was approximately $115,000. The FR-3 identifies life threatening rhythms, prepares to shock and delivers the needed energy quicker and more efficiently. It has been redesigned to provide better feedback to firefighters about the rate, depth and quality of CPR being performed. Other improvements include the ability to defibrillate children with the same pads as adults, and blue tooth capability that allows data to be transferred wirelessly for event review and data collection. 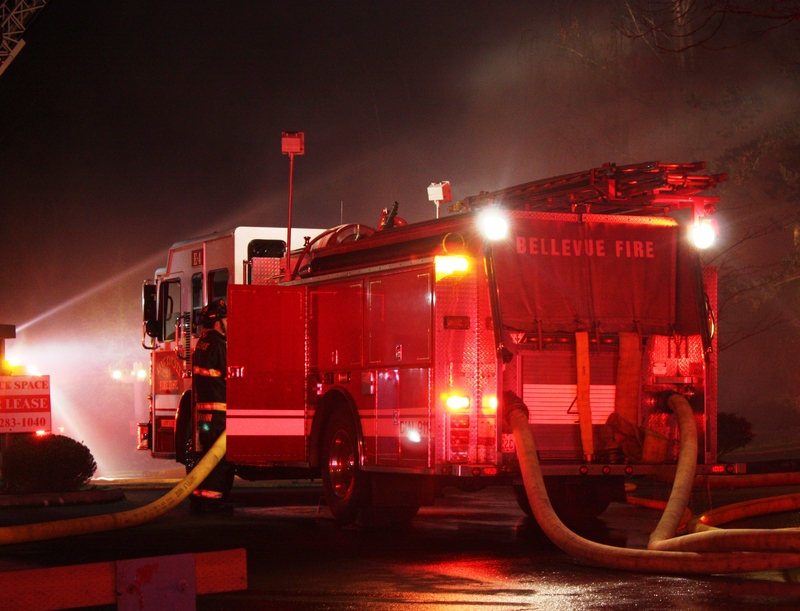 The City of Bellevue Fire Department is currently accepting applications for a Fire Prevention Officer in our Fire Prevention Division. This position is responsible for the enforcement of fire prevention codes and standards in existing and newly constructed buildings and occupancies. The position is also responsible for investigation of fires and the follow-up determination of cause. Individuals in this position will also be expected to become proficient in reviewing and approving plans and specifications for fire suppression, fire detection, special hazards, high piled storage and hazardous materials installations. Ability to use strong human relations and communications skills. 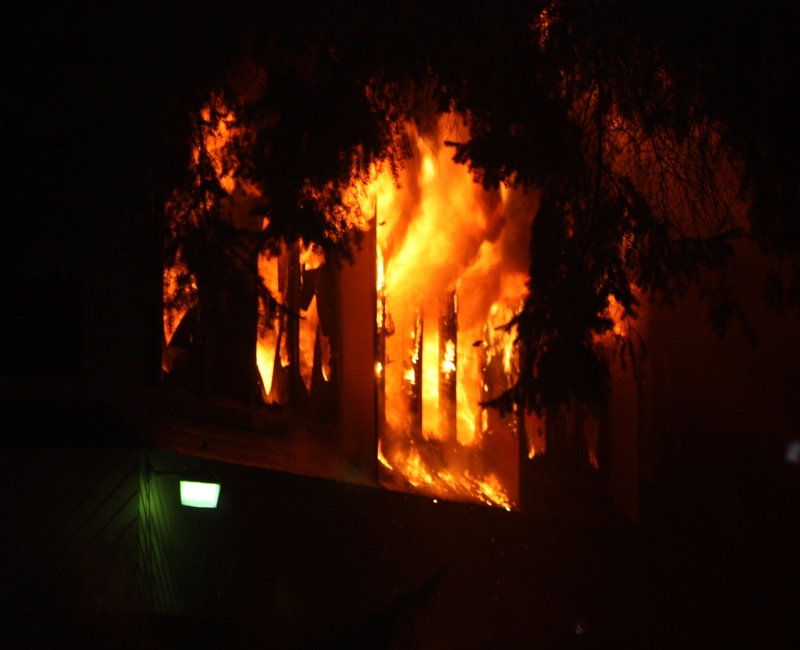 Enforce fire prevention codes and standards in existing and newly constructed buildings and occupancies. Investigate the cause and origin of fires. Interview witnesses; write reports, and building comprehensive cases for the prosecution of arsonists. Use a variety of tools to move debris and collect evidence at a scene of a fire. College-level course work in fire prevention fundamentals. Word processing and data entry experience. Certified as a fire inspector or ability to acquire within 6 months. Two years of experience as a fire inspector utilizing fire codes. Fire and city safety plans review experience preferred. Must be able to kneel, stoop, climb and lift 30+ pounds. Ability to work on-call as required. Valid Washington State Driver’s License. Incumbents are exposed to a variety of hazards. On December 26, 2011, the first call Dispatch received was at approximately 1731 hours. According to media reports, fire units arrived five minutes later to a haze from the two-story office building located off of Bel-Red Road across from the Coca-Cola plant in Bellevue, Washington. Forty-three minutes into the incident, the it was elevated immediately to a second and then a third alarm bringing mutual aid units from Kirkland, Redmond and Seattle. Firefighters were ordered to evacuate the building forty-five minutes later. Media reported the East side of the building then collapsed. 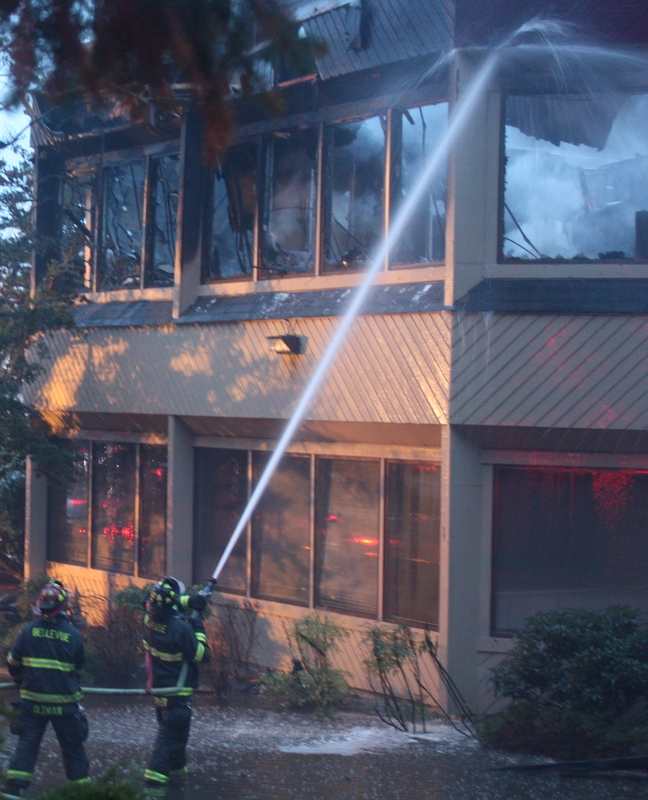 Over 15 businesses were displaced that once occupied the two-story Forum West Office Building. This photo is one of many as our inspiration for creating this online publication and is our Fire Blog Logo. We know how dangerous fires like this can be and we were there watching it unfold frame by frame during our Fire Rehab days. 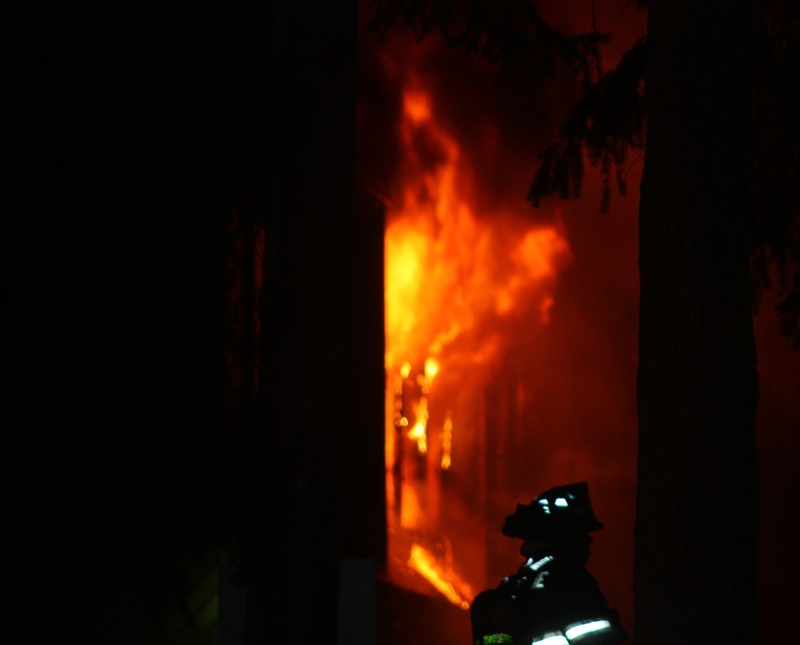 The intense heat from the fire could be felt across the street where I stood taking photos frame-by-frame. Firefighters worked tirelessly through out the fire event. It was impressive to watch them work the fire from all angles. Thank you to all of our Firefighters, Command Staff, Medics and Mutual Aid units who responded on that day. We admire the work you all do. We were glad that we could be there to help hydrate fire crews and capture your amazing acitons in time. Keep up the great work and be safe friends. 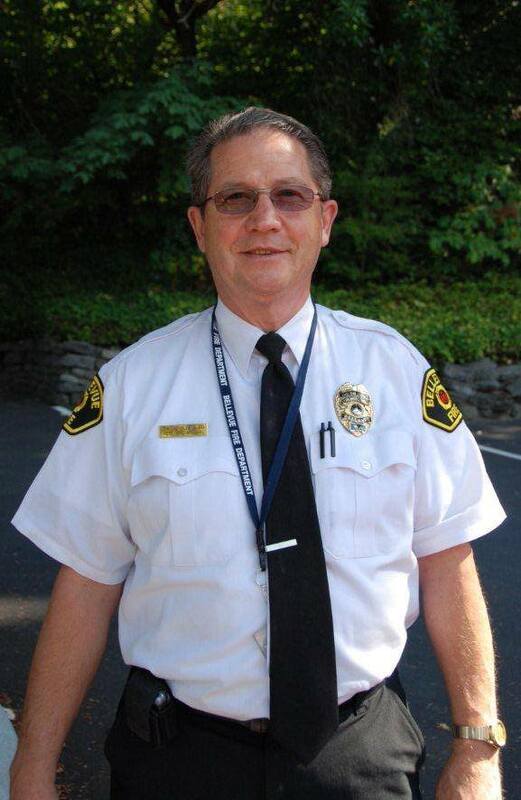 We’d like to wish Bellevue Fire’s Fire Prevention Officer Dwight Altenburg a Happy and Prosperous Retirement. FPO Altenburg retired on 12/31/13 after his many years of service. He has served in many roles: Fire Prevention Officer, Fire Investigator and as the Assistant Fire Marshal. Thank You for your Service, Dedication and great Expertise! *Cheers* to a Happy Retirement. Congratulations on your Promotion! 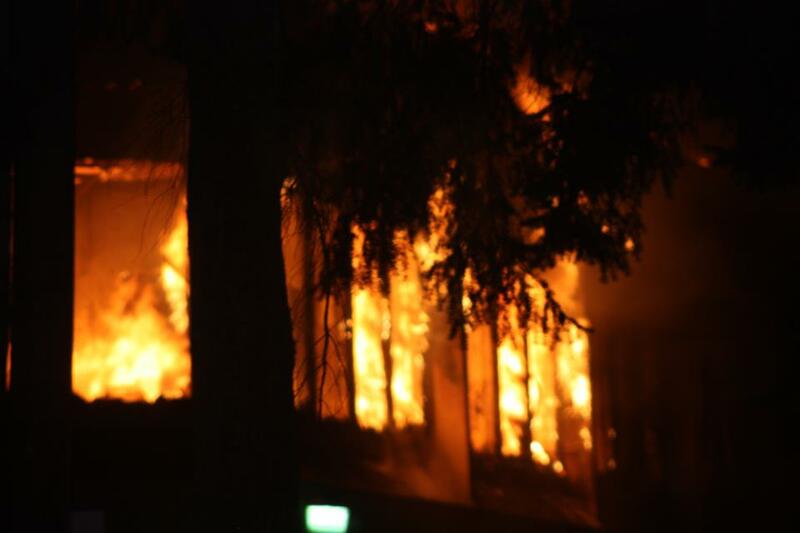 Approximately six hours ago, witnesses reported to police they heard a loud explosion followed by an intense fire at the 3-story Hampton Green apartments in the 4400 block of 148th Avenue NE in Bellevue, Washington. 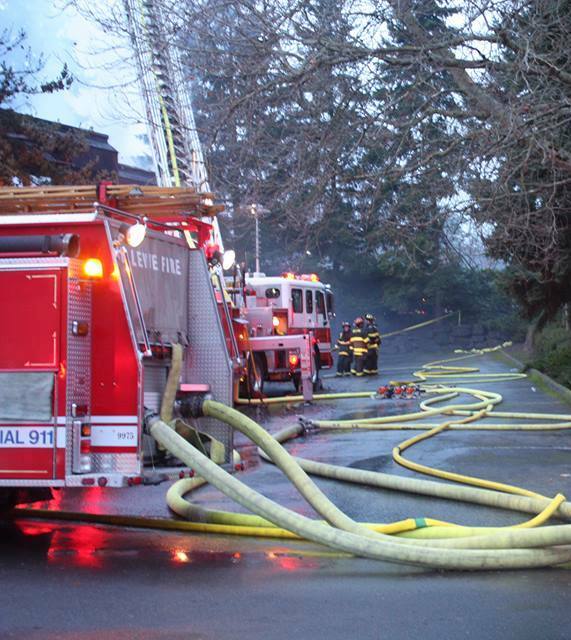 Bellevue, Kirkland and Redmond fire crews raced to the scene to help fight the fire. All in all, there were 7 engines, 4 ladder trucks, 5 aid units, 2 medics and 3 Bc’s on scene. Bellevue Fire reported one patient was taken to HMC with injuries from the fire, while two others were sent to area hospitals. One firefighter was injured with a cut to the hand but is considered as non-life threatening. There was a report of a total of seven injured with an unconfirmed report of someone jumping out of a window to escape the flames. 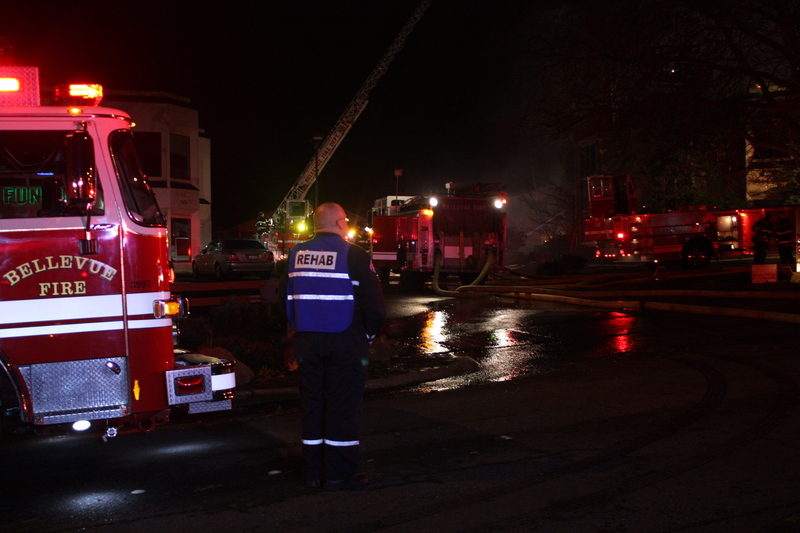 The fire damaged 10 apartment units displacing several residents. The Red Cross was on scene to help residents with shelter. Upon finding a cause, it has been ruled as suspicious and is now being handled as a criminal case by ATF investigators. Police and Fire crews are still on the scene. Police are not commenting on any further details of this case. The Bellevue Fire Department is hosting its annual food and toy drive Nov. 1 through Dec. 24. Donations will be accepted at all Bellevue fire stations. New, unwrapped toys collected for infants, youth and teens will be distributed at the Youth Holiday Party on Tuesday, Dec. 10, 4:30-7 p.m. at Crossroads Community Center. Donations will continue to be accepted until Dec. 24. Non-perishable food collected will provide support during the holidays to Hopelink food bank in Bellevue. Requested donations include new, unwrapped toys for infants, youth and teens, including books, games, sports equipment, arts and crafts kits, cars and trucks, and dolls. Ideas for infants include age appropriate plush animals, toys and gift cards for parents to purchase needed items. Ideas for teens include gift certificates for clothing, restaurants, malls and music stores. The greatest needs for nonperishable food include: canned meals, canned meat, cereal, dry beans, fruit (canned or fresh), pasta, peanut butter, rice, soup, tomato products and vegetables (canned or fresh). Inspection and Investigation functions for the Fire Prevention Division. 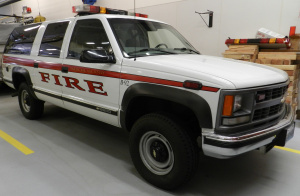 Provides technical assistant to the Fire Marshal;Interprets and enforces provisions of the International Fire, Building and Municipal Codes of the City; reviews and approves construction plans to determine code compliance; recommends and develops proposed fire prevention policies, procedures and codes; supervises the Fire Prevention Officers. Coordinates withthe Fire Operations Division, Development Services Department, and Contract Cities (Beaux Arts Village, Clyde Hill, Hunts Point, Medina, Newcastle and Yarrow Point) for fire code related inspections, Operational Permits and fire investigations. or a related field is desired. fighting tactics, oil fire control and hydraulics. perception, and the ability to adjust focus. The employee may be required to push, pull, lift, and/or carry up to 40 pounds. Work may routinely require the employee to climb, balance, bend, stoop, kneel, crouch, and/or crawl. precarious places, or near fumes, airborne particles, and/or toxic or caustic chemicals. This is a non-union, regular, exempt position. The City of Bellevue is situated between Lake Sammamish and Lake Washington with the Cascades mountain range to the east and the Olympic mountains to the west offering breath-taking panoramic vistas. Bellevue is the Eastside’s major urban population center, and is the fifth largest city in Washington State. We are proud of our award winning city and the employees who help make it happen! The City of Bellevue is truly a culturally-enriched destination city to live, work and play! Apply online at http://www.bellevuewa.gov. We are an Equal Opportunity Employer. We work in an eco-friendly environment with state of the art technology and equipment. More detail is available on our website at http://www.bellevuewa.gov. If this position is identified as a limited term, the following definition applies: Hired for no more than three years. an offset to take into account employment with a nonparticipating employer. Municipal Employee Benefits Trust – City of Bellevue Retirement Benefit Plan Summary Plan Description. They are also11/2/13 Assistant FireMarshal – City of Bellevue https://apply.govjobstoday.com//JobAnnouncement.aspx?jid=3289 3/3 described in the Social Security Administration Publications 05-10045 for the Windfall Elimination Provision and 0510007 for the Government pension Offset which can be found on the Social Security website http://www.ssa.gov/pubs. However, as a City of Bellevue employee, you may be eligible to participate in the Municipal Employee Benefit Trust (MEBT) plan; and depending on eligibility, there is also mandatory participation in the State Retirement Plan (PERS). information, veteran’s status, disability, or any other basis prohibited by federal, state or local laws.